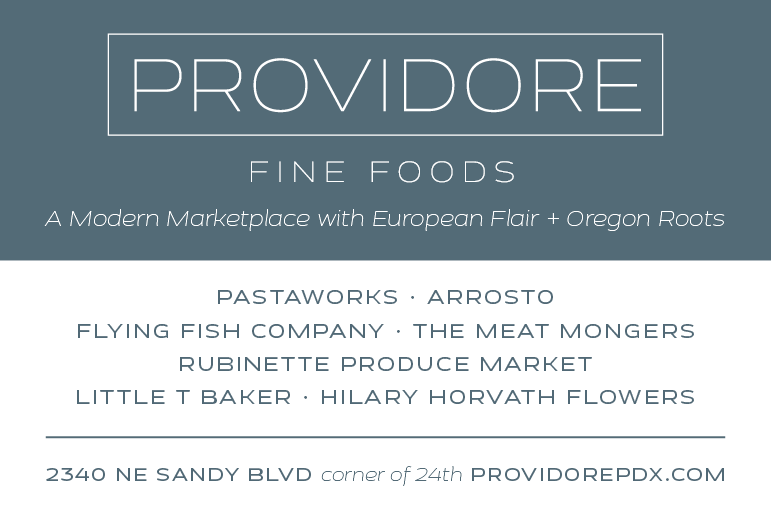 In mid-October of this year, Portland was host to a gathering of certified B Corporations. The metro area currently boasts more than 40 businesses that have gone through the tough vetting process required for certification, out of a total of 55 in the entire state. To get an idea of how certification impacts businesses in one industry, I attended a panel featuring four craft breweries that have been certified by the organization. The breweries featured on the panel were employee-owned New Belgium Brewing of Fort Collins, Colorado; Beau's All Natural Brewing Company of Vankleek Hill, Ontario, Canada; Brewery Vivant of Grand Rapids, Michigan; and Hopworks Brewing Company of Portland (our fair city), Oregon. This post was developed in collaboration with advertiser Hopworks Urban Brewery, one of the B Corp-certified breweries featured on the panel. First of all, what the heck is a B Corporation? According to the website, B Corporations are "for-profit companies certified by the nonprofit B Lab to meet rigorous standards of social and environmental performance, accountability and transparency." In practice what it means is that each of these breweries chose to look critically at not just their business practices, but their use of resources, the way they treat their employees and their commitment to their communities. Perhaps because the founders of B Corporation were business guys, the focus on merging doing good while growing a business has helped these breweries commit to taking a long-term approach to recouping the costs of becoming more sustainable. For Katie Wallace, the Assistant Director of Sustainability at New Belgium, that means the values-based ethics of her employee-owned business benefited from "putting into words what we've been doing since the company was founded." Steve Beauchesne of Beau's, a certified organic brewery, echoed Wallace's statement, saying that his family decided to go through the process because it was "better to be at the leading edge rather than trailing behind," baking sustainability into the DNA of the company rather than trying to retrofit. Plus, on a practical if not completely serious note, "the beer tastes better." The process of certification, based on a scorecard and point scale, is flexible enough to accomodate different approaches depending on the focus of the business. For instance, initially Christian Ettinger of Hopworks said that his brewery focused on the resource side, like water use, electricity, sourcing of ingredients and the built environment of the brewery itself. A further step involved establishing a board of directors for the company, a move that B Corporation encourages as the best way to ensure that the values of the company are maintained over time, one that Ettinger feels has far-reaching benefits for the stability of the business going forward. Two key areas for all of the breweries involved their employees and the public. Kris Spaulding, co-owner of Brewery Vivant, said that they've worked to cultivate an ownership mentality in the culture of the brewery, like giving employees permission to put their passions to work through paid time off to do voluteer work in the community. Beauchesne said that even though, in his words, "beer is a big motivator," since getting certified he's seen Beau's employees make more of a personal connection to their work. Ettinger said that Hopworks has even inserted sustainability into job descriptions, with every applicant being asked how they see sustainability fitting into their work. Panelists echoed the importance of having every worker become a champion of the sustainability goals, making the goals not just words on a piece of paper, but also another way of holding the company accountable to those goals. 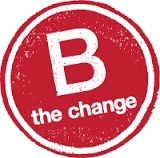 As if dispensing terrific beer wasn't enough to make customers happy, B Corporation certification helps the breweries differentiate themselves from others in their respective areas, and the good will it generates "makes it an easy way to engage with their customers," according to Spaulding. Accountability also plays a part with the public, with an informed customer base encouraged to get involved and hold the business to its stated goals. The bottom line is that certification is not a one-time achievement but an ongoing effort. Beauchesne said that for Beau's, "the most important part was going through the process," having goals for improvement via the evaluation the brewery received, with the scorecard helping them to focus on where to invest their energy and money in the future. As Ettinger joked, "When we get to 200 points [on the scale], I can retire." Watch a video of the entire panel discussion. 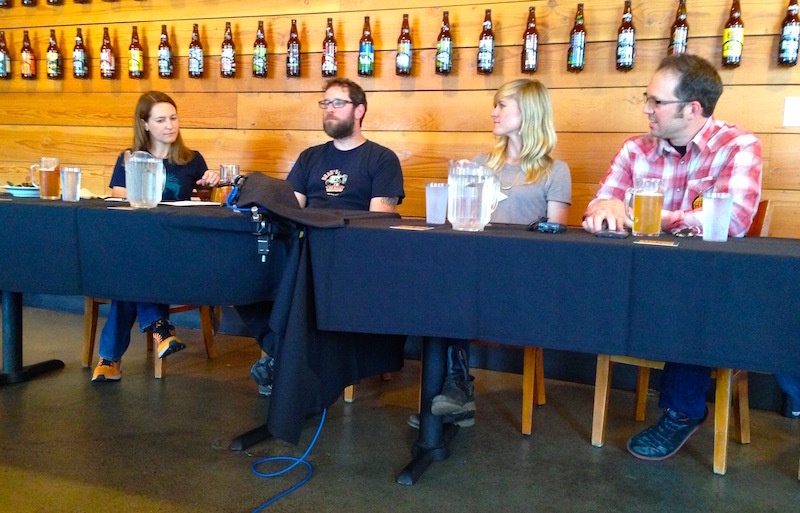 Top photo, l to r, Kris Spaulding of Brewery Vivant, Steve Beauchesne of Beau's All Natural Brewing Company, Katie Wallace of New Belgium Brewing and Christian Ettinger of Hopworks Brewing Company.